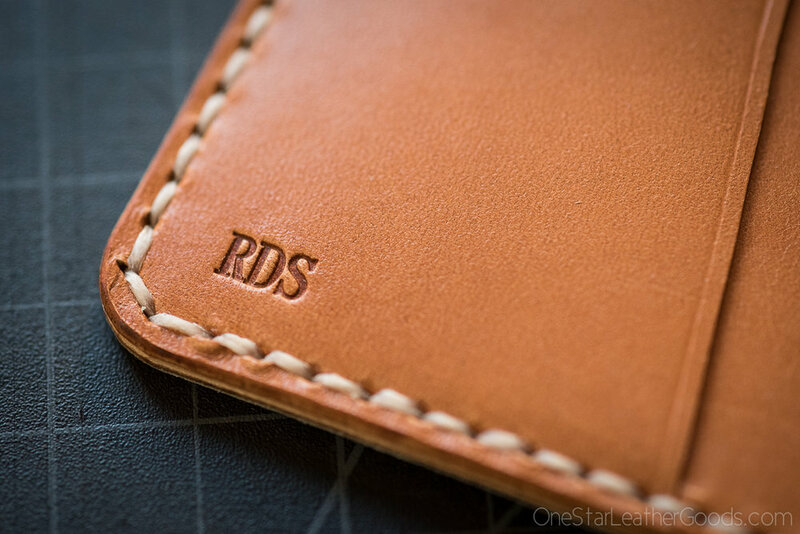 In addition to choosing leather and thread colors on many of our products in the Build-Your-Own section of the shop, you can add a personal touch with initials, a name or a short phrase stamped into the leather. Simply add the "Personalization" listing to your order. You can find it in the Build-Your-Own section of the shop.